The energetic ‘Three Lungs Park’ is definitely the first name Sir Alex Ferguson would put on the teamsheet on Saturday night. His tactical discipline plus his knack for doing well and scoring in big games would guarantee him a starting position for this one. Park would most likely be deployed in what I like to call the ‘defensive trequartista’ role like he was in the round of 16 encounters last year vs. AC Milan. On that occassion his task was to get in the face, at all times, of deep-lying playmaker Andrea Pirlo and stop AC Milan from building attacks through him. I expect the same strategy to be used against Barcelona’s playmaker Xavi Hernandez in an attempt to nullify his major influence on Bacrelona’s play in the attacking phase. 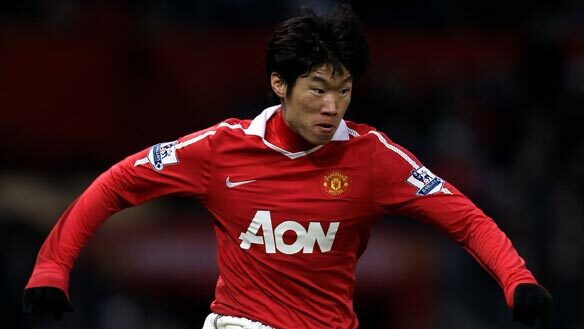 Park would also be called upon to double up on Messi with Michael Carrick in an attempt to dispossess the Argentinian when he is in on the ball. Going forward the Korean runs well off the ball and plays nice short passes but he lacks the creativity needed to play behind the main striker. This should not be a problem in the early stages of the game especially with the score tied at 0-0 but expect him to be substituted if United are chasing the game late on.